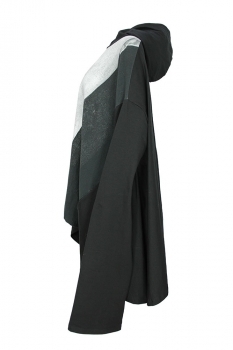 Barbara Bologna one-size, over-sized hooded top, with print front 'Print Cape Hoodie' in heavy, stretch jersey. 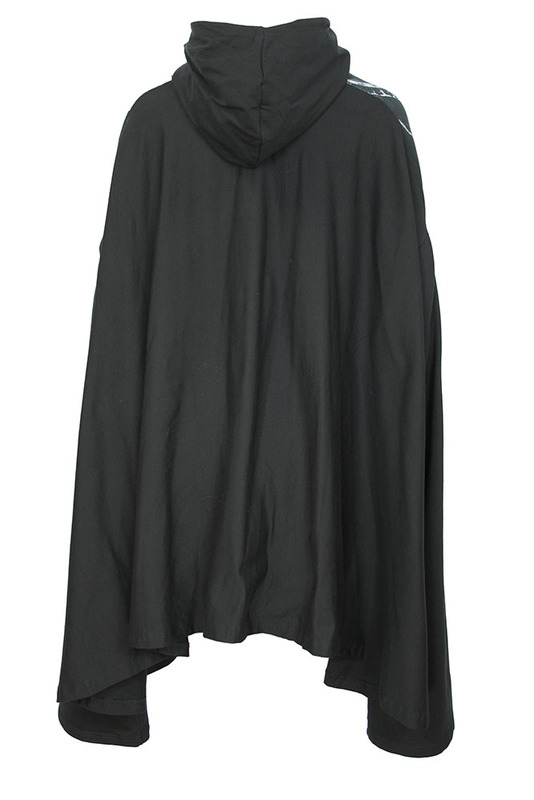 Double layered black hood. Printed front panel. 2 pockets in side seams. Extra long black sleeves. Black rear panels with beautiful curved hem with pointed sides. Longer at the rear. This is a beautifully designed and constructed garment, very special and quite unique, wonderful use of fabric.